features dramatization stories of federal crime fighting from around the world. 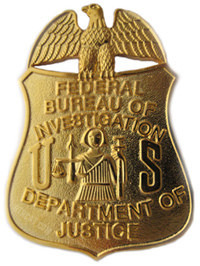 Federal Agents featured stories from government law enforcement agencies around the world such like the FBI, the Royal Canadian Mounted Police (RCMP), French Surete, and Scotland Yard. Each week the show featured a dramatized account of a crime from a different country. As a police procedural and a mystery, the show combines narration to move the show forward and acting to advance the story. Many listeners are familiar with shows based on American and British agencies but the real treat in this series are the stories based on the RCMP, French, and other agencies. Enjoy the drama! See also: FBI In Peace and War, I was a Communist for the FBI, and This is Your FBI. Be the first to comment on "Federal Agent"